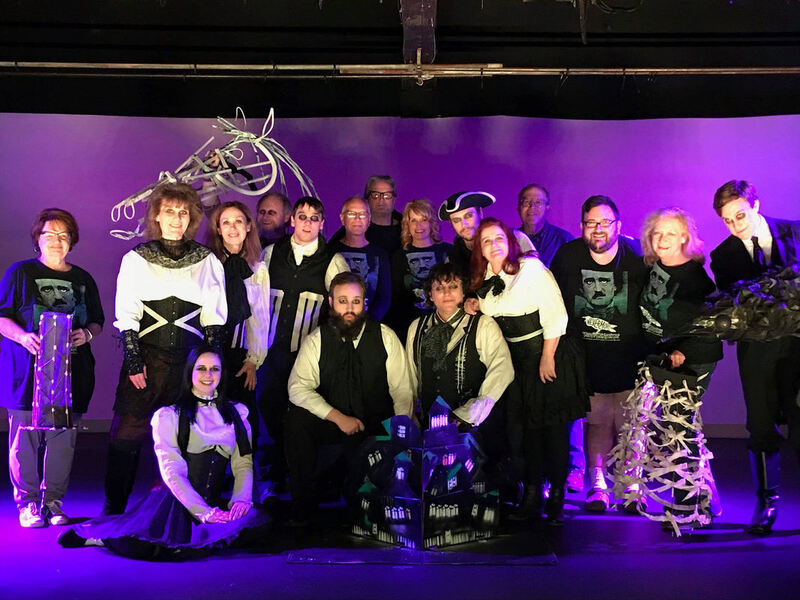 Nevermore - Clearfield Arts Studio Theatre, Inc.
October 18-20 and 25-27 at 7:30 p.m.
Clearfield Arts Studio Theatre, Inc. (CAST) is preparing for the Halloween season by presenting a newer musical based on the life and stories of one of the world’s most famous and fascinating writers. This is a unique and wildly theatrical musical play combining haunting music, poetic storytelling, and stunning stagecraft to tell the fascinating and moving life story of iconic writer Edgar Allan Poe. A literary rock star in his day, Poe struggled with tragedy and addiction, poverty and loss, yet produced some of the world’s most original, visionary, and enduring literature before dying in unexplained circumstances at the age of 40. At once gorgeous and grotesque, this show blurs the line between fact and fiction. The pit is made of talented musicians Gary Wilsoncroft, Wendy Cline, and Michael Hughes. Lighting design is by Gene Deible. Sound design is by Greg Stager. Stage management is by Lisa Boyle.